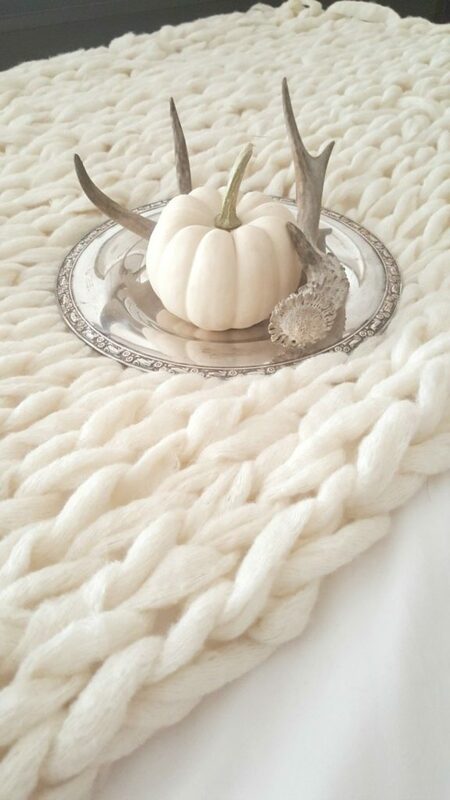 Learn how to create a chunky knit throw right here and right now. We’ll show you how! Have you ever swooned over a photo like this one? 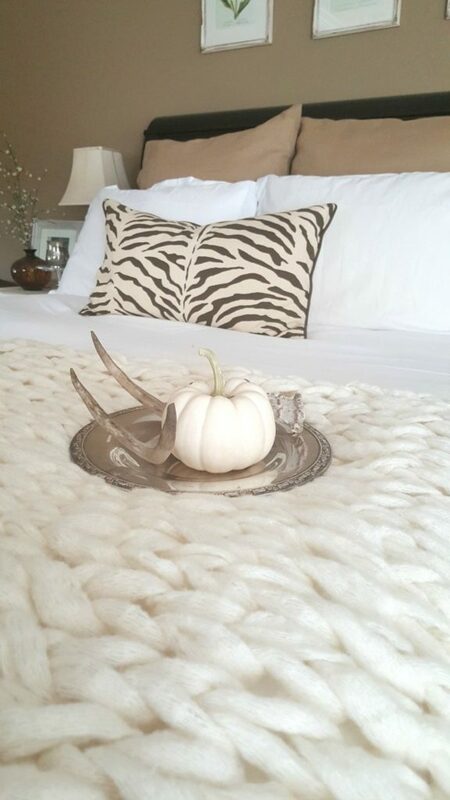 Chunky knit throws are so luxurious and cozy looking! But that price!! I know!! 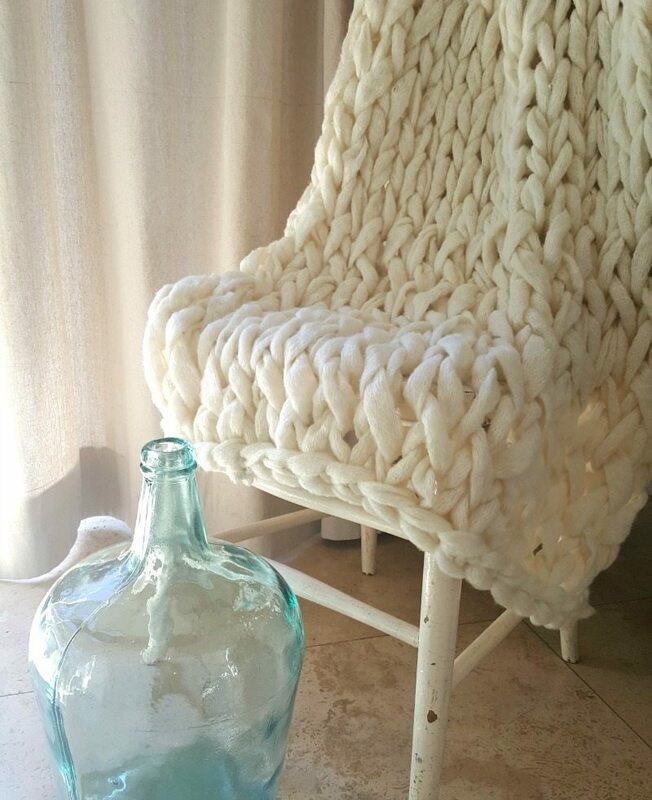 Trust me, I lusted after every Chunky Knit Throw I saw but at $240-$400 I didn’t think I would ever be able to afford one! Plus, I didn’t know the first thing about knitting so slowly I stopped dreaming. 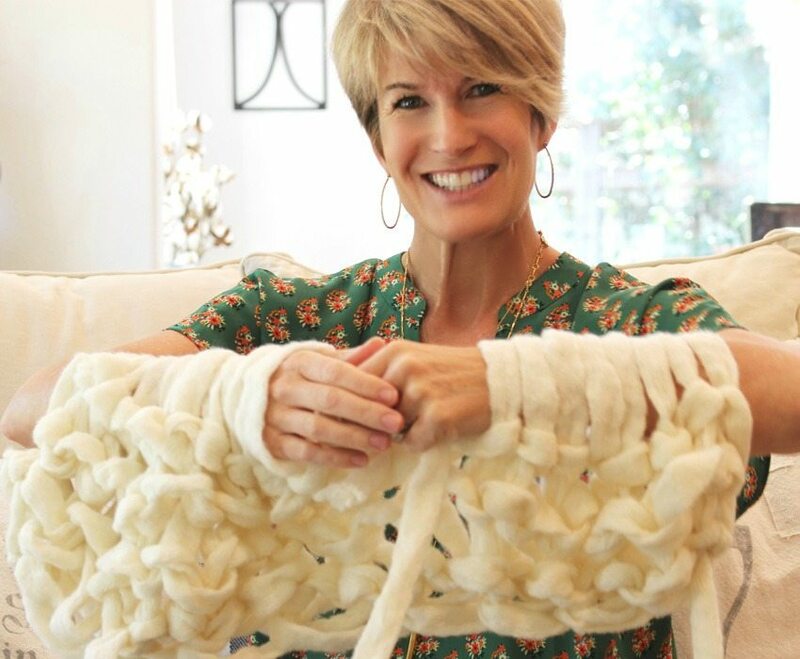 However, when my blogger-extraordinaire-turned-bestie Janine of HappyHappyNester.com asked me if I wanted to join her in an arm-knitting project to make our own chunky knit throw, it took me all of 5 seconds to say yes!! Arm Knitting turned out to be a great affordable option! Do You Just Want to Skip Forward to the Enjoyment Part? Softest mega knit throw you can knit in an afternoon! In this post I will share with you all the steps we took to make this dream a reality. I will share all the details you need to know like where to get the yarn and how much to buy. No attempt will be made to teach you how to do it because, honestly, I’m not that great at it yet!! I will leave that to the experts and link you to the video we used to learn it ourselves. Here are our experiences as total knitting novices, what we learned to do and what NOT do. I will talk about some of the problems we encountered and how we fixed them. 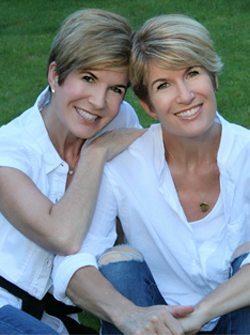 I am hoping that our experience can give you the courage and confidence to take on this fun but challenging project even if you don’t have a friend to hold your hand (like we did)! Or even if you’ve never knit before! Note: I bought 11 skeins as recommended by the video tutorial. However, I only used 8 1/2 skeins to make the same size blanket she made in the video. It’s probably because my stitches may have been a bit bigger (looser). My blanket size is 60″ x 28″. But my recommendation is that you probably don’t need to buy 11. You will probably be fine with between 8 or 9 skins instead. If you want to use real merino wool see our 2nd arm knitting blog post, “Arm Knitting Made Easy” where you’ll find more pointers, great resources, and our savings coupon code. How to prepare for arm knitting? 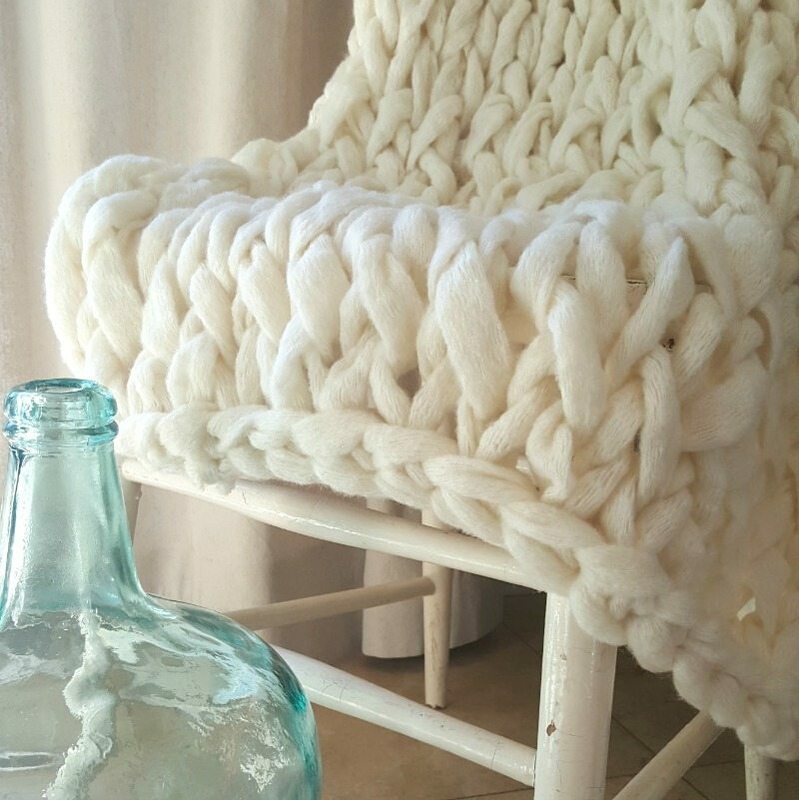 Chunky Knit blankets are the new “must have” decor item. The hardest part for Janine and me was definitely casting on. We must have watched this part of the video 30 times! And we each had to start over 3 or 4 times!! So, right off the bat what I’m trying to say is, stick with it and don’t get discouraged. Good thing we had each other to encourage one another otherwise I’m not sure we would have made it past this point. The title “45 Minute Blanket” really threw us off; especially since it had been an hour and we were still working on casting on our first stitch! Anyway, my point is, keep going!! It will get better, I promise! The easier part was definitely the knitting back and forth. This technique is so much easier than the casting on part that it almost feels like you don’t even have to pay attention! Warning: KEEP PAYING ATTENTION! As we got going and things started to seem easy we started chatting. All of a sudden, oops, I looked down at my hands and I had no idea what I was doing! I had missed a step and wasn’t sure how to back up without just ripping out everything. With some care I managed to carry on, but I did end up with one small “oops” in the middle of my blanket. Lesson learned? Be careful to not get distracted. Even though this part is easier if you lose your train of thought you could end up with a not-so perfect blanket like me! Read about our arm knitting experience and see how you can learn in an afternoon! 1. It says “45 Minute Blanket” but it is REALLY going to take 45 minutes? Ok, we KNEW it was going to take longer. We had never knit before and had no idea what we were doing. However, we didn’t expect it to take quite so long! If you don’t have to LEARN the process it might take 45 minutes. That being said, here is the truth. And if you have never knit before this is what you might expect to experience as well. It took us about an hour to learn how to cast on and even longer to complete our first row on our arm. Then it took us another 30 minutes or so to learn how to knit from one arm to another. We eventually started to get into our “groove” and speed up a bit. My total time spent? 5 hours. This is reality for you! Janine actually took hers apart and started over. If you are a perfectionist like Janine you may feel the need to re-do your first attempt as well. (I am still considering the same!) The good news? The second time she made it it took her about 3 hours. That’s a pretty good learning curve. You can see how, with a little practice, you could eventually get it down to one hour! Take away? Janine is more of a perfectionist than I am!! Hee, hee!! 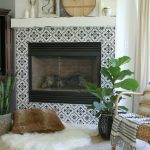 Luxury throw is affordable DIY project – try Arm knitting! 2. What if you get interrupted or have to go the bathroom? If possible it is a good idea to plan enough time and prepare to knit the blanket all at once. This means eating and going to the bathroom before you start! However, if something unexpected comes up or you have to use the bathroom there is good news!! You CAN take the blanket off your arms. Just slip the loops off one by one and lay it very carefully down so that all the loops are intact. Then you carefully reverse the process to put it back on. Just be very careful when putting each loop back on that you don’t pull too much because it will pull out the next loop. If you do this slowly and meticulously you should have no problems. 3. Do you need long arms to do this? No, I am only 5′ 2″ and my arms are very short. It really doesn’t matter. Once you get the hang of it you can see how the stitches can really bunch up together and fit tightly in a small amount of space. Arm knitting is fun and easy! Just follow our tips to a successful experience! 4. What video tutorial should you use? 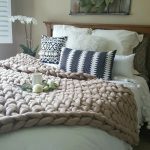 Janine and I had both researched this question ahead of time and found the video by Simply Maggie “How to Arm Knit a Blanket in 45 Minutes with Simply Maggie” to be the easiest and best resource for learning this process. This is the video we used. 5. What is the basic pattern you used? 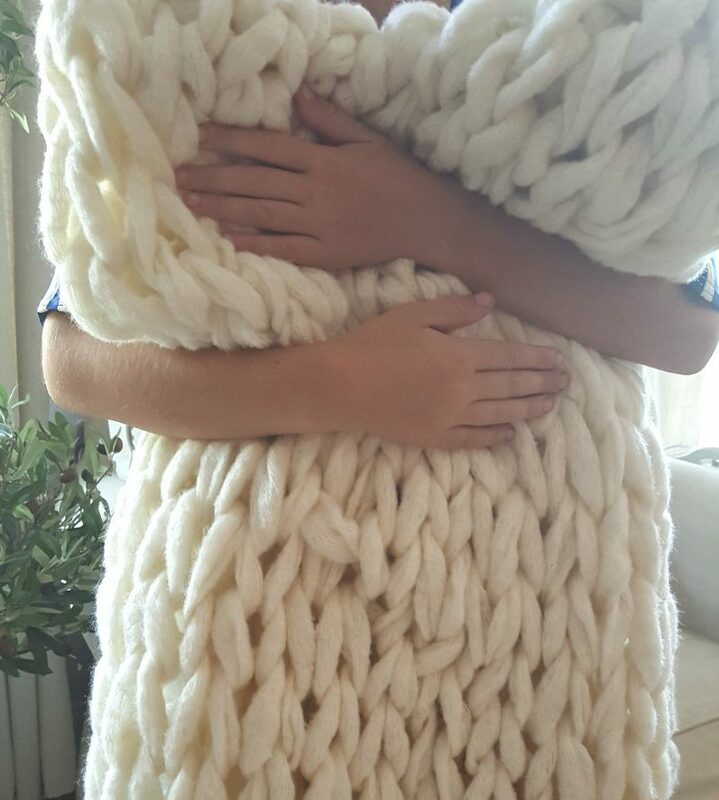 My favorite new throw…and knit it myself! You can too with arm knitting! 7. How tightly should you knit? This is a tough one to answer because you have to weigh your priorities…..Do you want a tightly woven blanket or do you want to have a comfortable experience? If you knit too tightly each time you get towards the end of your row you are going to have to push the stitches up your arm and they will likely squeeze your arms uncomfortably! My suggestion is to resist the urge to knit tightly at the beginning of the row because it really isn’t worth it. What matters is that each stitch is the SAME SIZE. You want your blanket to look uniform so this is what you should keep in mind! 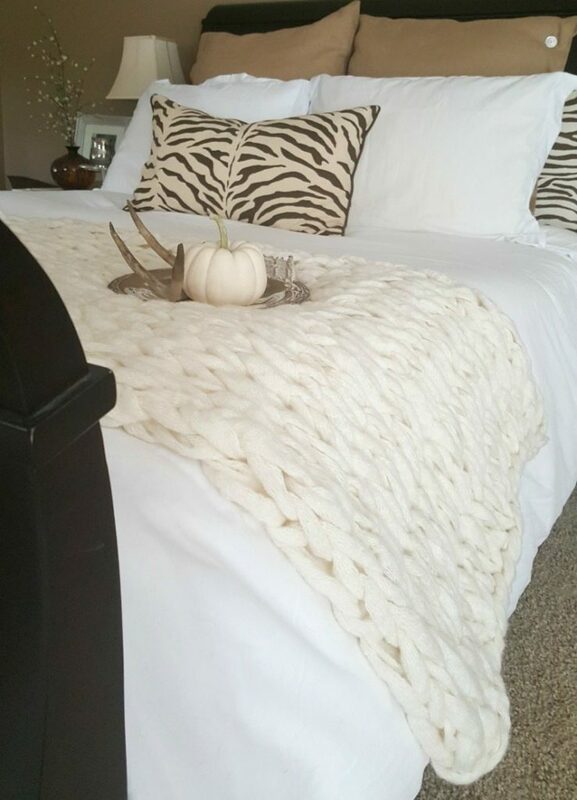 Have you been dreaming of owning one of those gorgeous mega knit throws! You can knit one yourself, just follow our tutorial. Before we started we were somewhat concerned about how we would survive having the blanket attached to our arms for the duration of the knitting process, however long that would take!(?) We weren’t sure we’d be able to eat or go to the bathroom. Making sure we had eaten enough, we made one last bathroom run. We tried to start early in the day because we were worried about not being able to finish. All of these things helped allow us the time we needed to make it through the rather lengthy learning process. However, as I explained above, we were happy to learn that you could take the stitches off and take breaks if and when necessary! I hope that reading through our experience has helped you understand what to expect if you decide to tackle this process as a first-timer. Even if you don’t have any prior knitting experience (like Janine and me) you shouldn’t let that stop you! And for under $70 you can own your own chunky knit blanket/throw and feel proud to say that you made it! 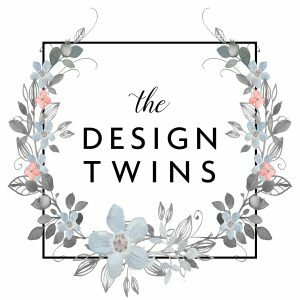 I am so grateful to my sweet and fearless friend Janine who invited me to tackle this fun project with her! Without her encouragement I never would have discovered arm knitting as a great affordable option! If you want more help getting started head on over to Janine’s blog post “Arm Knitting: No Knitting Experience Required”! Her chunky knit throw turned out absolutely beautiful! Thank you for visiting! Please let me know if you have more questions or comment below to share your experiences! 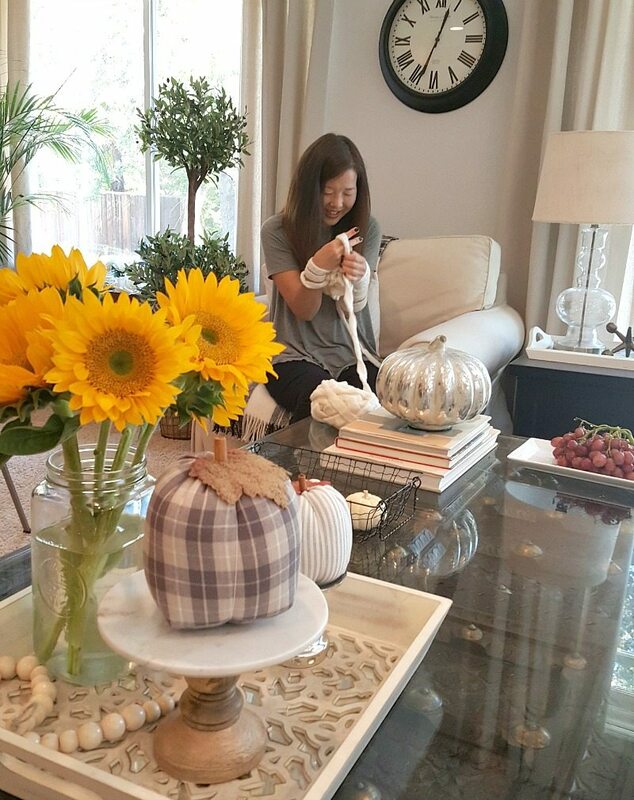 Check out my second Arm Knitting Experience HERE where I share our discount coupon for merino wool and additional pointers to make sure your chunky knit arm knitting projects turn out amazing every time! We share our tips and tricks and what not to do when arm knitting for the first time. Follow our tips and advice on how to succeed with your first arm knitting project. 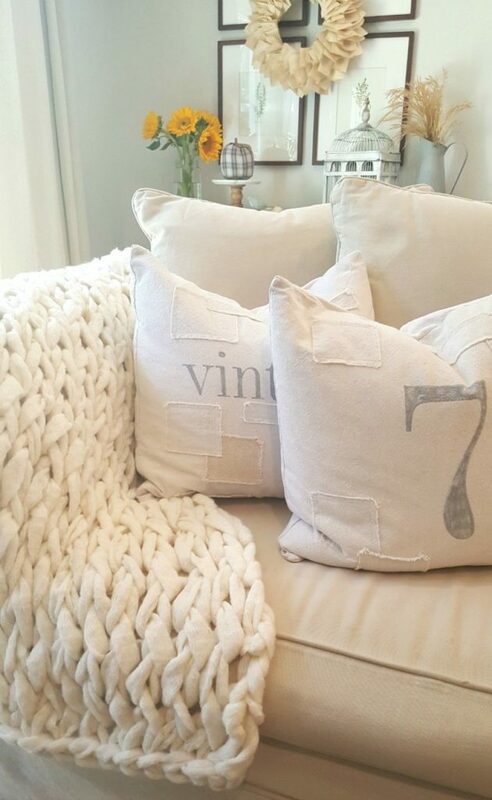 Create your own Chunky Knit Blanket by following our easy how-to tips. Even if you have never knit before, Arm Knitting is a great affordable option! What a great post! It is so informative and helpful. Your writing is spot on! Thanks so much for all your encouragement, I think if we made another one I won’t be so stressed and just maybe I could do a bit of chatting! Next one is at my house! We will knit in my dark home! ? Yeah! That was so helpful! I may get my bestie in on this and give it a try! Thanks sweety! Your blanket is gorgeous! I would love to try this. What type of yarn did you use and where did you buy it from? This is Olivia from Instagram… Reinvented Collection. I don’t even know how I show up on there. Oy vey. LOL. I think this is the coolest project ever!!! I’m so glad you were able to take breaks to run to the ladies room. Nothing is worse than being immersed in a project and unable to stop. Imperfections make things unique and beautiful. At least I think so. If you would like to join Thursday Favorite Things link party, we would love to have you. Each of our co-hosts chooses our own features every week. I would love a chance to feature your new blog. I think Happy Happy Nester might join us from time to time or maybe I join her link party. Oh it all can get a bit muddled. Ha ha. Great job! Beautiful blog design too! 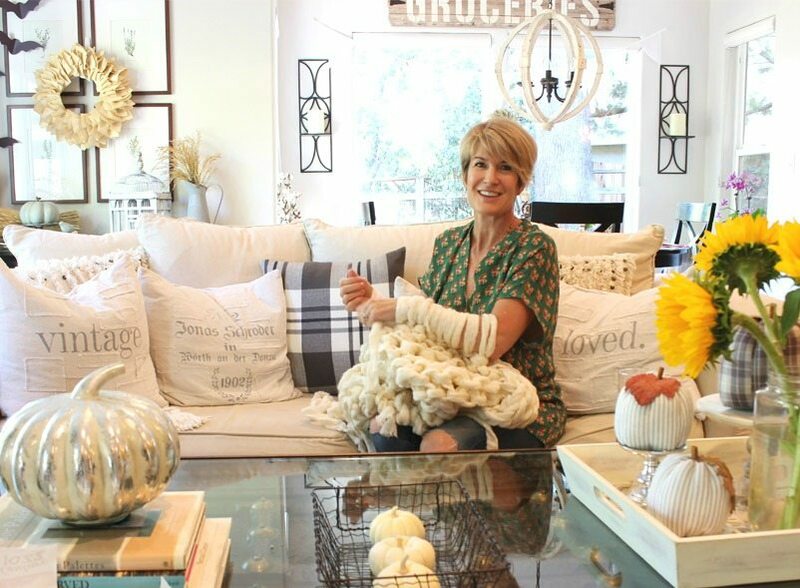 Thank you for this informative step by step look at how you and Janine created the beautiful arm knit blankets. Your tips are great! I can’t wait to try making one with my daughter. Thank you so much for this post! My oldest daughter wants one of these SO badly. Although I think I will buy her a lap throw from a seasoned blanket maker I found on IG (my daughter is worth it, and they are running a special right now) I do think this will be a project I try out with her to make a few Christmas gifts! 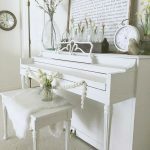 This blog will certainly help us with this endeavor! Thank you!! You two are awesome, I have always wished I had a sister and the two of you are such a great example of sisterly love! I have 3 daughters now, so I don’t get a sister, but my girls will have them 🙂 All the best to you both and keep up the great work! This is great! I’ve made the arm-knit scarves before and love the idea of the blankets but never thought I could take on the task. You’ve inspired me! Thank you for the helpful (& extremely informative) tips & tricks! Thank you for sharing your honest experience! I have wanted to try it, but have been reluctant. You have inspired me to give it a try. 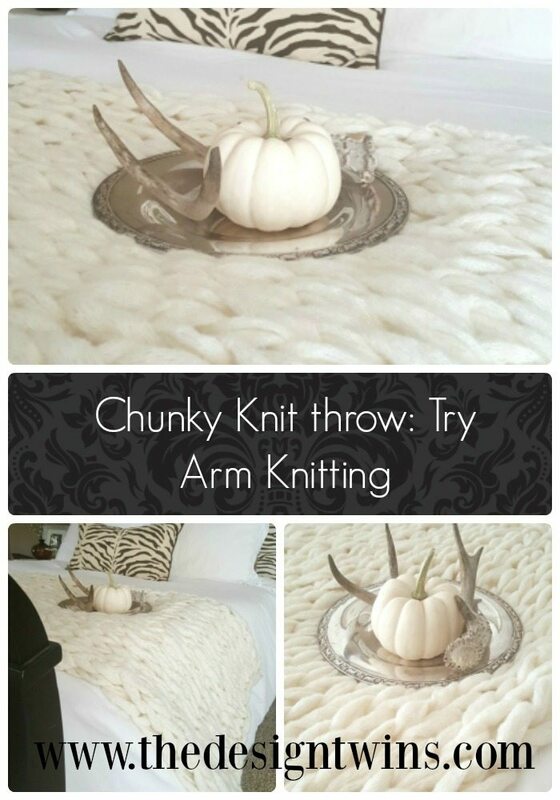 This might be the perfect project for a snow day or cold winter day..
Hi – I just looked through your site and found the arm knitting post so I will follow up with the video and see if I can make one, I am already a knitter so hoping it won’t be too difficult ! March Madness. I’ve always wanted to do this! It looks so cozy even when knitting one! What brand of yarn and how many skeins did you use? Thanks so much for taking the time to visit our blog and for your question!!! The answer is provided in the post above under “supplies” but I know the post is long and it’s easy to miss the details!! 8-9 skeins Premier Yarn Couture Jazz (color, Milk) $6.99 each from Premier Yarns. 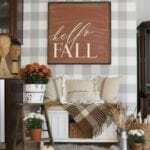 This is a more affordable option as it is using synthetic yarn. See our second arm-knitting post for details using Merino wool. How did you join one skein to the next skein?